Discussion in 'Star Wars: The Last Jedi' started by romall smith, Feb 10, 2016. 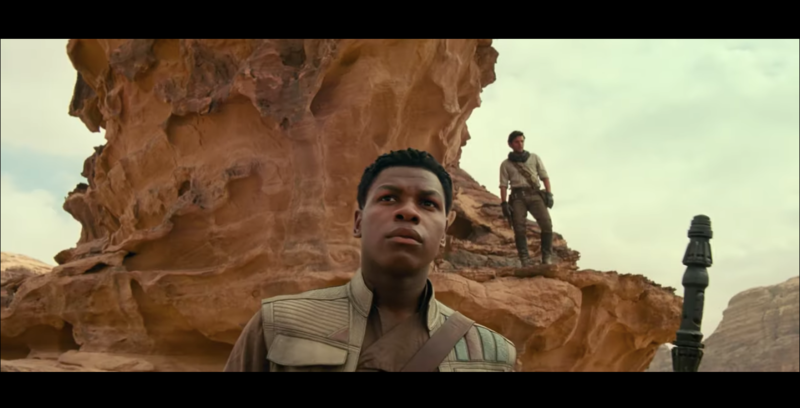 Finn Force Sensitive in Ep VIII? Rose didn't exactly teach Finn anymore than DJ did. He wasn't brainwashed into the Resistance. Finn came to his own conclusions from his experience of being betrayed by DJ and observing the dedication and convictions of Rose. He also knows the horrors of the First Order like few others, having been kidnapped as a child and groomed by them. Finn has plenty of motivation behind his decision to take a stand against the First Order. Forsure he a side kick look he holding her useless staff lol, someone pointed out maybe because he holding her staff he becomes her Padawan, which I highly doubt. Just a cool sidekick. The equivalent of "Hey, my best guy friend. Can you hold my purse while I try on these shoes? Thanks."